Our kitchen is dairy/pescatarian. We like fish, so we eat fish. And vegetables. We have a Rubbermaid tub full of meat utensils and dishes for Thanksgiving cooking and for the very rare occasion that we decide to make meat. This happens once ever six months at most, usually because we want to make Chicken Soup. We will eat at the local kosher deli, and we will eat meat there if we feel like it, and by meat I usually mean chicken. On Shabbat and holidays, we will eat meat out (again, chicken usually) out when invited because it's hard to say "can you make me a gluten-free, vegetarian option please?" I, Chaviva, am gluten free (Celiac) and personally am avoiding soy products like tofu and tempeh, but the rest of the family enjoys them. Okay, I think that's everything. Now, that being said, every now and again I do get a serious hankering for meat and the truth is that I'm too lazy to schlep out the meat tub to make something and am too cheap to go to the deli and get something. 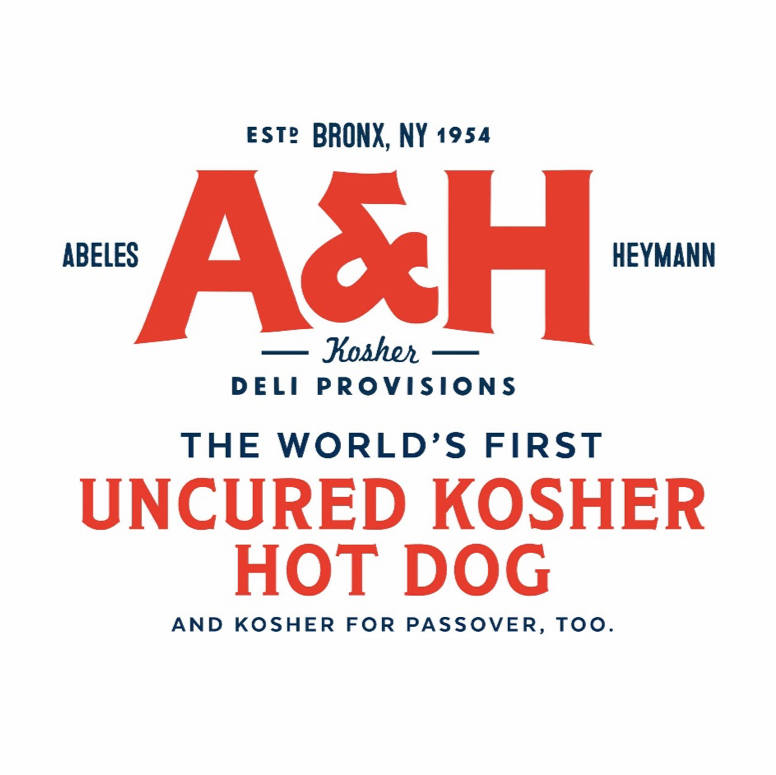 Enter Abeles & Heymann, "makers of award-winning premium kosher hot dogs and deli." I was contacted by their PR department for a free sample, and I jumped at the chance because I can't do veggie dogs (soy, and often wheat) and their offerings are nitrate-free, all beef, and "have no fillers, are gluten-free, Kosher, and Kosher for Passover." Asher's all like "This one's for me, right?" Why is this a solution to my cheap/lazy style when I'm craving meat? Because I honestly just bust open a package and eat it straight! Yes, it reminds me of when I was a kid and my family got Hickory Farms and would devour a box in no time at all. If it wasn't Hickory Farms it was Oscar Meyer hot dogs and man alive those things were mystery meat to the max. But these hot dogs? They're delicious, like nothing else on the market because they taste pure and completely natural, and that's all the reason you need to find A&H and some spicy mustard and get noshing. And with Passover right around the corner, it's nice to have something tasty, healthy, and easy in your corner because all of the processed junk on the market at Passover is the absolute worst. A&H also just unveiled new branding that is super sleek and classic. 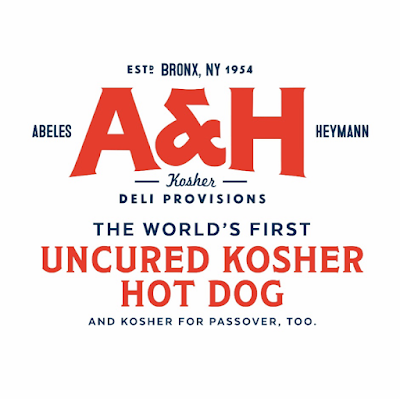 Have you tried A&H meats? What do you think? Do you have a favorite?